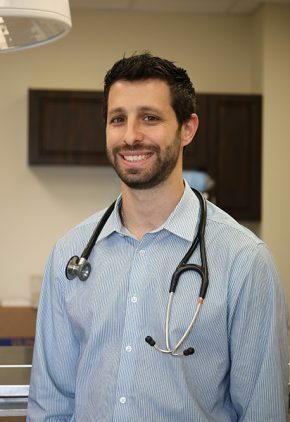 Dr. Jamie Barclay enjoys the challenge of emergency medicine and particularly likes cat bite abscesses because the treatment provides instant relief to the patients. Dr. Barclay enjoys reading, working out and spending time outside, especially snow skiing. She has a husband, two daughters and a cat named Dusty. 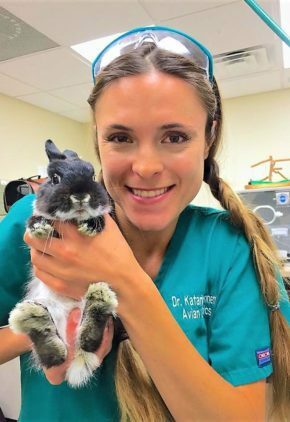 Dr. Katarina Bennett enjoys surgery and working with owners on husbandry issues because they are one of the most prevalent causes of disease in exotic animals. Dr. Bennett’s life goal is to run a marathon. She lives with her cat, Neil Patrick Harris. Dr. Jennifer Daly has a particular interest in respiratory critical care and received a research grant in that field. The majority of her research has been in high flow nasal cannula oxygen administration with the goal of giving veterinary patients more options prior to requiring mechanical ventilation as an intervention. She also enjoys the complexity of polytrauma and sepsis cases. 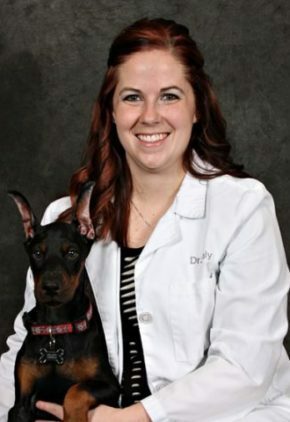 Dr. Daly likes hiking, biking, running, paddle-boarding or swimming with her husband and Doberman Ostera. She competitively trains Ostera in obedience and protection and enjoys spending time with other people who do the same. The family also has a cat, Marble. 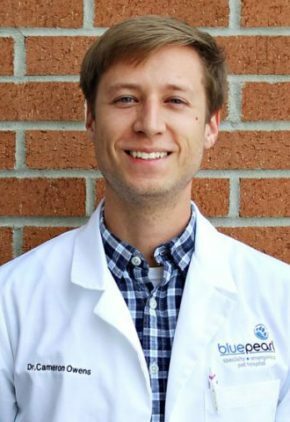 Dr. Ryan Fincher's clinical interests include diabetic ketoacidosis, urinary obstructions, gastric dilatation volvulus and endoscopy, especially foreign body retrieval. Dr. Fincher's family includes his wife, son, and two cats, Maggie and Marley. An outdoor enthusiast, he likes kayaking, scuba diving, and playing soccer and beach volleyball. Dr. Jennifer Goodman enjoys all aspects of internal medicine. 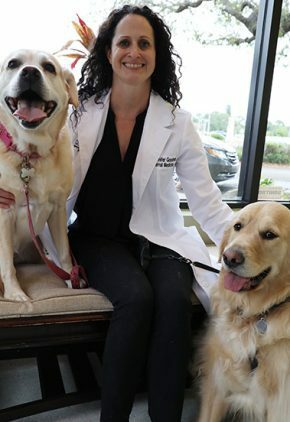 Dr. Goodman and her husband have twin girls, and the family enjoys the beaches and outdoor life around Sarasota. The family has a yellow lab named Monkey. 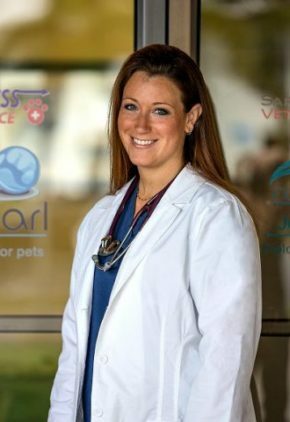 Dr. Samantha Haas worked for over ten years as a veterinary technician before entering veterinary school. 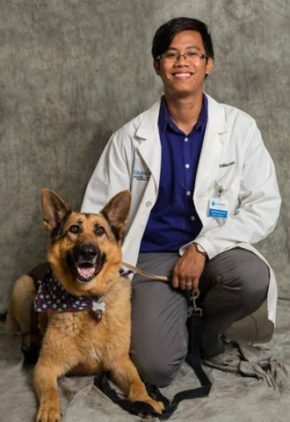 Her particular clinical interest is diagnosing and treating canine lymphoma because it can be so responsive to treatment. Some of Dr. Haas' favorite activities include fishing, boating, hiking, camping and horseback riding. She also likes the arts and was a ballet dancer for 16 years and performed in musical theater. She has three cats and three dogs. Dr. Daniel Linden combined his two passions, surgery and oncology, when he pursued a fellowship in surgical oncology. Trained by a team of medical oncologists, radiation oncologists and a surgical oncologist, he brings that team approach into his practice. Well published in peer reviewed journals, Dr. Linden has also been a referee for a number of those journals. His research interests include sentinel lymph node mapping and liver tumors, and his clinical interests include all aspects of surgical oncology, as well as thoracic surgery, head and neck surgery and reconstructive procedures. 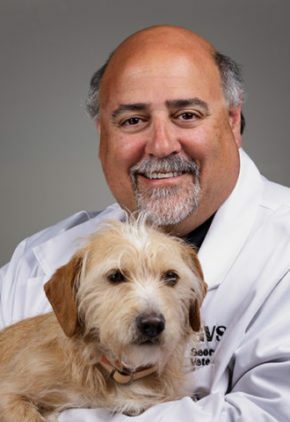 Dr. Linden has a golden retriever named Deuce, a terrier mix named Lucy and a cat named Bethany Hamilton. Dr. Laison Nguyen is an intern in our ophthalmology service. A fan of the outdoors, Dr. Nguyen can often be found playing soccer or ultimate Frisbee. He has a German shepherd named Junior. 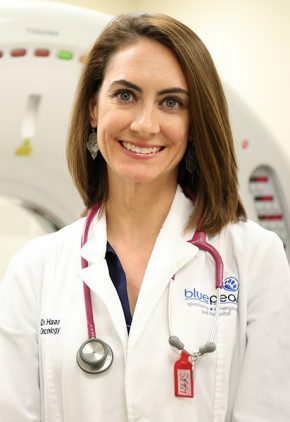 As an emergency veterinarian, Dr. Amy Oliver’s particular interests include stabilizing critically ill patients, managing acute trauma and performing wound repairs. Dr. Oliver enjoys fishing, beachcombing and anything nature related. She has two cats, Molly and Renatta, and a saltwater reef tank. Dr. Cameron Owens is an intern in our ophthalmology service. Dr. Owens enjoys watching Auburn football, adding coffee mugs to his ever-growing collection, listening to old and new records on his record player and playing board games with friends. He has a lab/terrier mix named Izzie and a cat named Paddington. Dr. Rachel Pratt enjoys surgery and complex internal medicine cases that require a look beyond the textbooks. Dr. Pratt likes spending time with her family and pets and participating in outdoor sports, especially triathlons and basketball. Certified in scuba, she loves to visit foreign countries to explore their exotic wildlife. Dr. Lesleigh Redavid finds it rewarding to treat cases of septic abdomen, electrolyte abnormalities and diabetic ketoacidosis. Other clinical interests include cultures and antibiotic use, anesthesia/analgesia management, central line placement and osmolarity calculations. With the goal of seeing every continent, Dr. Redavid has travelled to Italy, Greece, South America and most of the United States. She also enjoys yoga, exercise, kayaking, theatre and spending time outside with her husband and son. Dr. Simone Schechtmann is an intern in our ophthalmology service. A fan of travel, bilingual in Spanish and conversational in French, Dr. Schechtmann has studied in Buenos Aires, Barcelona, Paris and Dublin. She loves playing tennis and is interested in current events, foreign films and classical music. 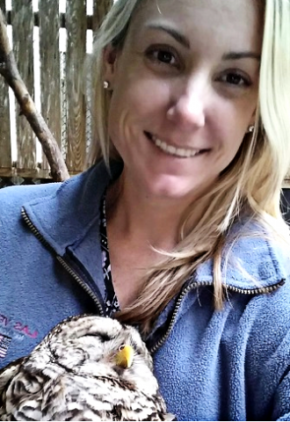 Dr. Anja Welihozkiy began her veterinary career at a small animal practice in her home country of Germany. 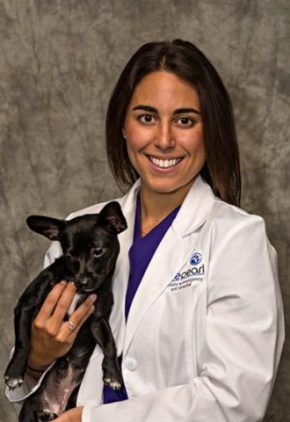 She worked in veterinary research at the University of California, Davis before becoming an ophthalmologist. Dr. Welihozkiy finds glaucoma and corneal disease to be especially interesting and likes the challenges of cataract surgery and corneal grafting procedures. 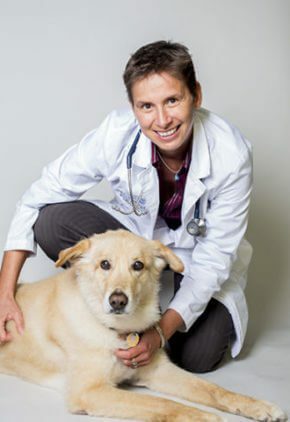 Dr. Welihozkiy likes travel, photography, hiking, biking and reading and can be found volunteering her time at shelters, aquariums and zoos. Her full house includes a husband and son, husky mix Jones, and two tuxedo cats, Floyd and Django.